Bonnie Siegel has been drawing and painting animals including horses and dogs since childhood. Animals were a part of her growing up in the northern suburbs of Chicago, where she was able to take horseback riding lessons and show horses at the local 4-H club. Her family and teachers encouraged her art and animal interests, and she received degrees in biology and art from the University of Illinois. She continues her art studies at national workshops with master animal and landscape painters. Her lifelong love of nature is her inspiration for her artwork. Her style is an impressionistic painterly style that captures the realism and warmth of the subject. She enjoys painting people and landscapes, as well as animal portraits. She uses photography to capture the likeness of her art subjects, and frequently paints and sketches outdoors in plein air events to sharpen her observation abilities. She captures the color and light in her art with oil on canvas or linen in her studio in Northbrook, IL. She currently is a board member of North Shore Art League in Winnetka, Illinois, and an active member of Geneva Lake Art Foundation in Lake Geneva, Wisconsin, where she exhibits her paintings at their Gallery 223. She is also a member of the Oil Painters of America (OPA), California Plein Air Painters, and Mendocino Art Center. 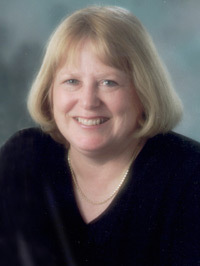 She served as a commissioner of the Northbrook Arts Commission for twelve years. Bonnie’s commissioned oil paintings are in private and public collections across the country. She participates in local art shows and exhibitions in Illinois and Wisconsin and has exhibited in Indiana, California, and Wyoming. Bonnie and her husband share their home with two active English Springer Spaniels named Molly and Jasmine. She enjoys riding “King of Hearts,” her American Saddlebred horse. Contact me by phone or by email. We can discuss ideas for the portrait. Prices can vary by size and complexity for an oil portrait. The portrait can be done from your photos or ones that I take. I work in my studio in Northbrook, IL and will complete the portrait in approximately eight to ten weeks depending on complexity.